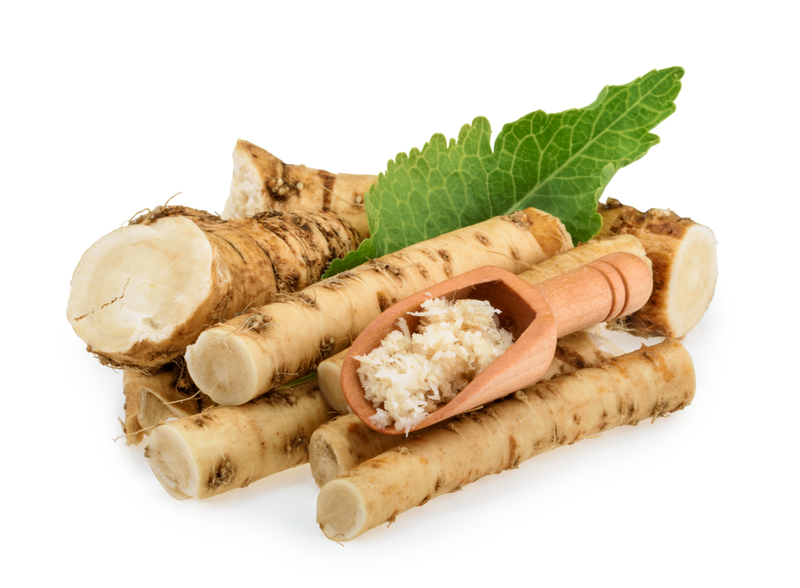 Cathy Isom has a few helpful tips for you about how to grow your own horseradish. That’s coming up on This Land of Ours. While fresh horseradish isn’t something most of us have in the fridge, it is actually a flavorful crop that’s perennial and easy to grow! 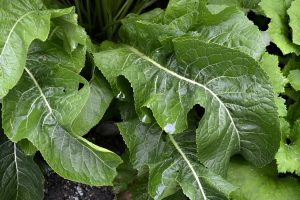 It’s best to plant horseradish in the spring. Nurseries will sell “crowns” that can be planted, but it’s probably much cheaper to just buy the root from a supermarket and plant that. It’s an amazingly trouble-free propagator. A few weeks before the last frost date, after the ground has thawed, the roots can be planted. They perform best in moist but well-draining soil and thrive on relative neutral pH levels. To plant them, the roots should be situated on a slant with the narrow end pointing down and the flat end up. While the young leaves can be harvested throughout the summer growing season, the horseradish roots begin to store and fatten up in the early fall for an autumn harvest. Two or three plants is likely enough for a household’s annual needs.